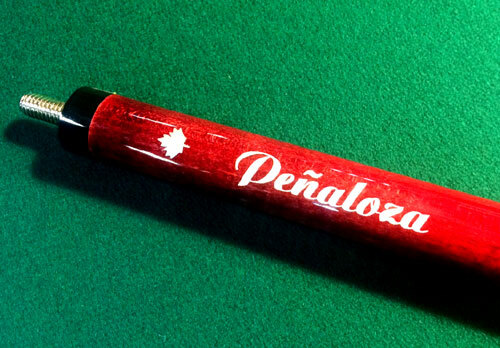 vintage cues, custom cues, carbon fiber, fiberglass, carbon, phenolic, diamond wood or Revo shafts and cues. We suggest you send images and then contact us to discuss then bring in items to get a firm quote. 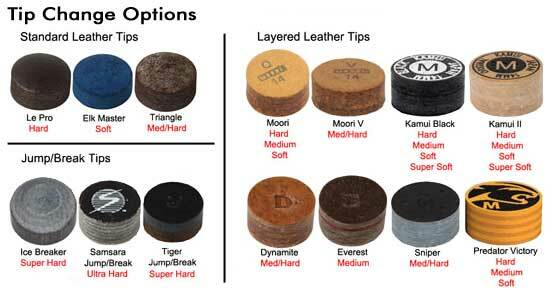 Please keep in mind we try and complete work based on a first in first out schedule and we need at least 24 hours for most tip work given glue curing and best quality drying time. We also prefer not to rush on any job as it will only detriment the quality of work. 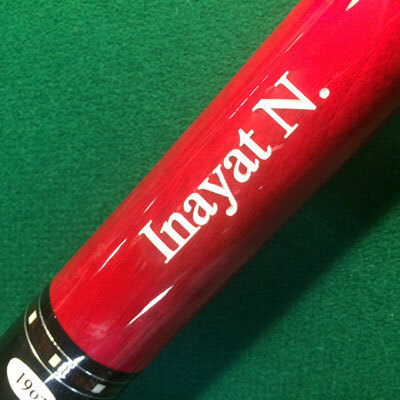 Prices below reflect standard cue repair pricing, yet are subject to specific work as you need to bring it in to get a firm quote. 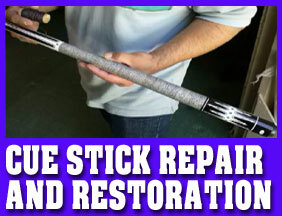 Call 408-559-6002 or send images to that number for a quote or to discuss cue service work. 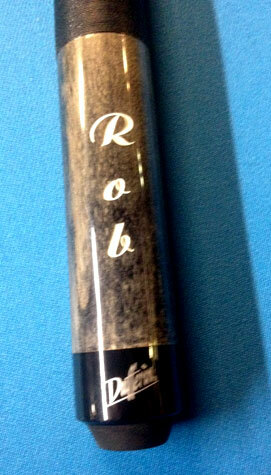 Re-tip, tip replacements are $7 for an Elk Master, $11 for a LePro and $15 for a Triangle tip. 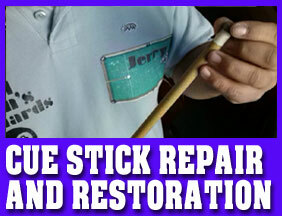 We will clean and condition the cue with all replacements. Call for other tips we CARRY MANY IN STOCK. 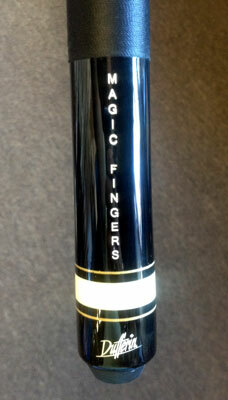 We carry all types of tips: ElkMaster, LePro, Master Triangle, Kamui (NEW CLEAR), Moori, Tiger Onyx and more! CALL US AT 1-408-559-6002 to get more information! CALL US AT 1-408-726-7475 to get more information!